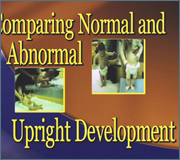 This video presents an analysis of normal developmental competencies contrasted with abnormal compensatory motor patterns. 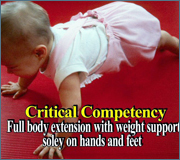 Normal development of critical competencies is compared and contrasted with abnormal motor development. 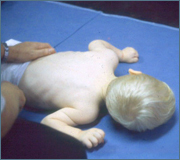 The significance and impact of abnormal motor compensation on the development of independent function is discussed, along with implications for intervention.